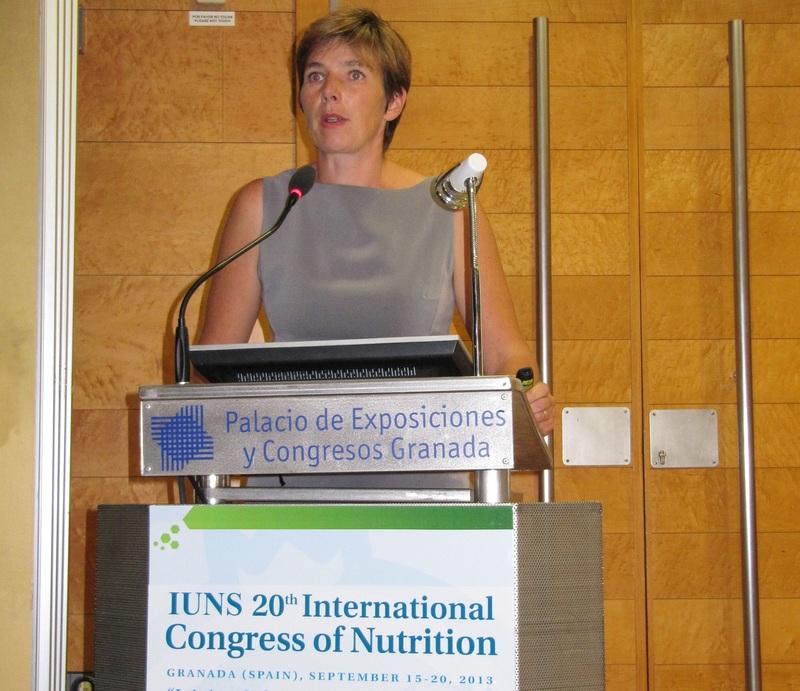 In September 2013, we participated in the most popular and widely attended nutrition congress, 20th International Congress of Nutrition (ICN) in Granada, Spain under the auspices of the International Union of Nutrition Sciences (IUNS). The theme of this congress was, "Joining Cultures through Nutrition". This event which occurs once in every 4 years, drew worldwide attendance of more than 5,000 nutrition researchers, policymakers, doctors and representatives from industry, government and health media. We provided many attendees a chance to taste our biscuit product offerings, meet our nutritionists, ask questions about the nutritional qualities and properties of our biscuits and discover our science and clinical research behind our biscuit product formulations. We distributed scientific insight articles and factsheets authored by our nutrition researchers and communications team members. - Vinoy S, Goux A, Jourdan-Salloum N, Meynier A. 2013. Interest of slowly digestible starch on carbohydrate metabolism: meta-analysis. View/download poster. - Meynier A, Goux A, Ndao D, Brack O, Vinoy S. 2013. Glycemic response of cereal products is mainly explained by its slowly digestible starch, fat and fibre content. View/download poster. - Lesdéma A, Fromentin G, Arlotti A, Vinoy S, Airinei G, Benamouzig R, Bado A, Tome D, Marsset-Baglieri A. 2013. Combining fibres and proteins in a cereal product reduces appetite sensations with some effects on gastric emptying and gluco-insulinemic response. View/download poster. - Chanson-Rollé A, Lappi J, Meynier A, Poutanen K, Vinoy S, Braesco V. 2013. Health benefits of wholegrain: a systematic review of the scientific evidence to propose a daily intake. View/download poster. We offered more than 5,000 servings of whole grain biscuits to help fuel attendees throughout the conference. Our participation was a platform to engage in discussions with multi-disciplinary nutritionists across many regions, cultures and branches – a success for us, and well received by congress attendees.